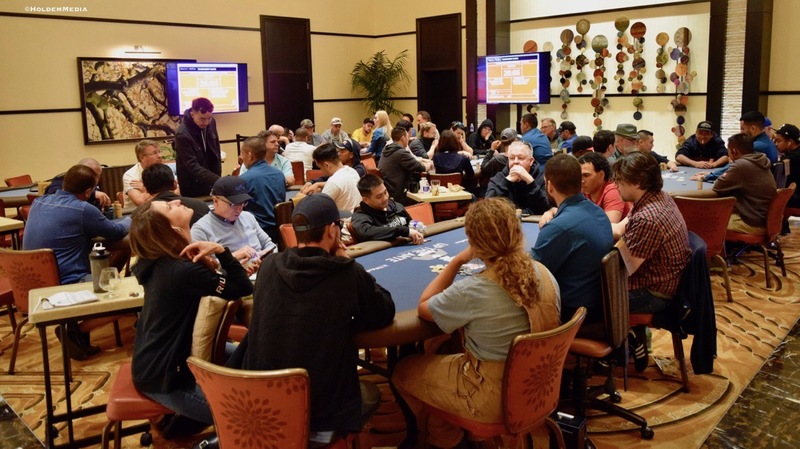 Midway through the third level in Day 1D and the board shows 160 entries, with five full levels left in registration. This pushes the overall field size past 770. 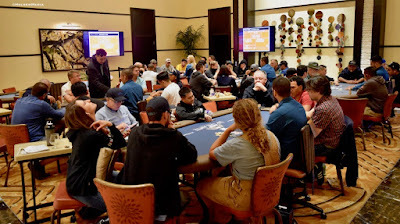 Among those already in the 4pm flight is Allan Fernando, Derrick Galiberte, Tony Bracy, Jae Pak, Phil Phongsaiphonh, Shain Matthews, Georgene and John Farmer, Josh Morrow, Charlito Aseberos, Cheng Xiong, Steve Kujubu, Woody Moore, Gina Stagnitto, Ken Jorgnsen, Rommel Santos, Deb Wall, Mike Harvey, Ed Miller, Bill Watchman and Nate Bolinger.